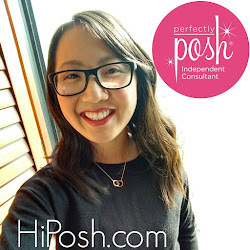 Posh by Simone: New to Perfectly Posh? I have free product for you! Limited time only. 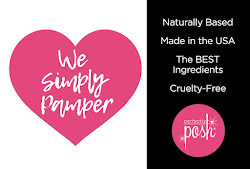 New to Perfectly Posh? I have free product for you! Limited time only. 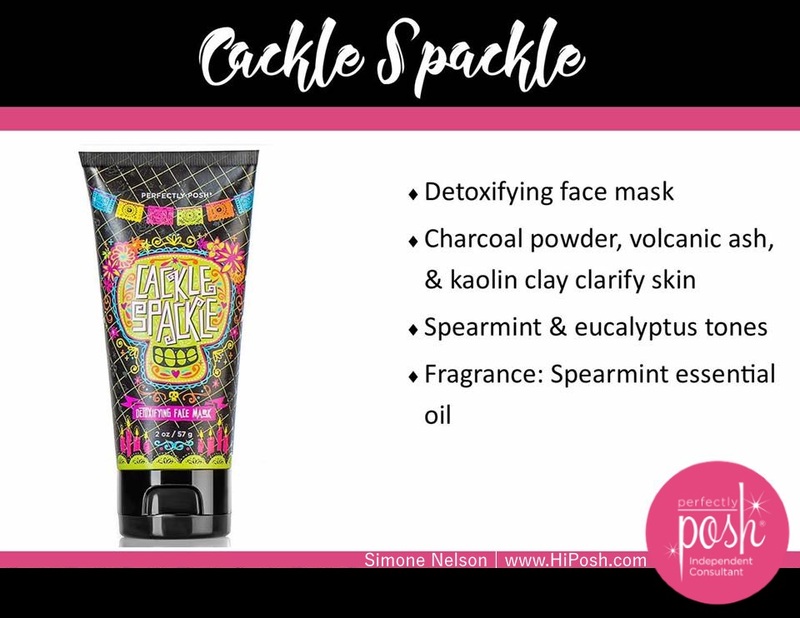 New to Perfectly Posh? I have free product to give away! Contact me for the promo code. If you've never ordered from my Perfectly Posh website before, be sure to contact me for a promo code to use toward your first order! Spend $25 to receive a free full-sized non-greasy Big Fat Yummy Hand Creme or Cackle Spackle detoxing face mask (my favorite!) by June 23rd. Email me at poshbysimone@gmail.com to receive your promo code! If you'd like to try anything, please let me know and I'm happy to offer recommendations! I absolutely love this promotion and I really hope you can take advantage of this deal! I love the hand cremes because they're non-greasy and perfect to have in my purse or by my desk. The Cackle Spackle is my favorite face mask ever and I've been obsessed with it for years. If you haven't tried either yet, let me know! If you have any questions, I'd love to answer them for you too. If you're not new to Perfectly Posh, you can still take advantage of these deals by sharing with friends and family! I'm offering referral gifts for sharing in additon to the usual hostess incentives which makes this a win-win-win for everyone. Who doesn't love free stuff? Let me know in the comments below. 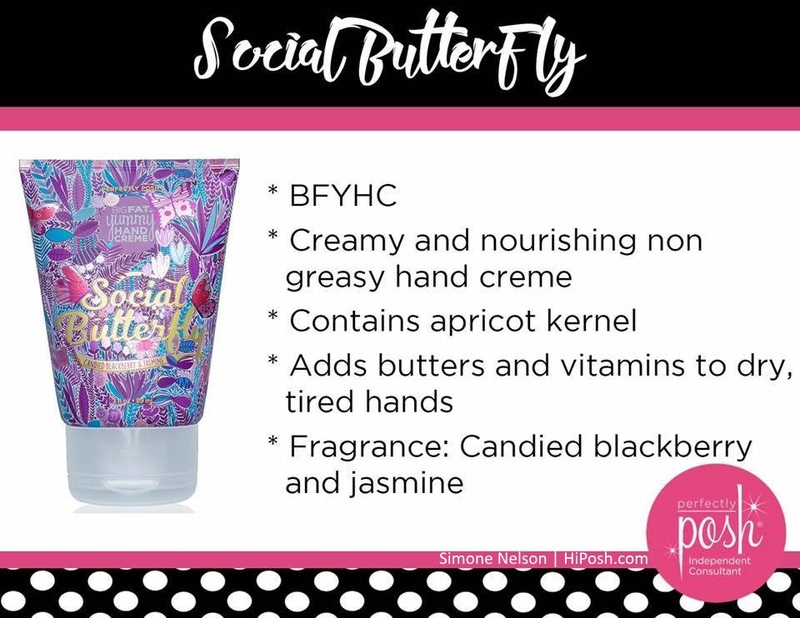 Which one would you choose for free: Social Butterfly or Cackle Spackle? My name is Simone and I'm the Gold Premier leader of the Posh Hearts team. I've been with Perfectly Posh since December 2011 and it's been one of the best decisions I've ever made. I'm a mother of 2, a lover of all things geeky, and all about finding the best products for my family. Learn more about me in the "About Me" tab at the top of the page. 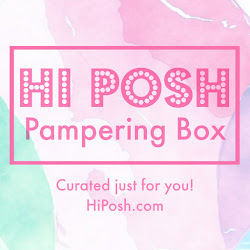 Reserve your Hi Posh Pampering Box today! $99 June 2018 Starter Kit! + Bonus Vial Set!